June 3, 2017 (Alpine) -- Alpine History Day is Saturday, June 3 from 11 am to 2 pm at the John DeWitt Museum, 2116 Tavern Road, Alpine. New attractions this year include the Waterwise & Butterflies Garden, the JMMS Robotics Team, Alpine Amigo's 4H Club with their chickens, piglets, and goats, the California Note Catchers, a chorus singing in four-part harmony, Animals & Animals reptile petting zoo, and the newest exhibit in the Beaty House: Alpine, Then and Now, which explores the changes in Alpine landscape and lifestyle through photos and objects from the Alpine Historical Society's collections. April 7, 2016 (Alpine) - The following are some upcoming events from the Alpine Historical Society. History in the Headlines, by Del Hood, contains a half-century of El Cajon Valley’s most notable events, from 1950 to 2000, chronicled as a ready reference to the area’s important historical moments. Drawn from headlines in The Valley News and The Daily Californian, more than 1,700 “little stories” about what happened in the valley and in neighboring communities depict the notable events of those years. The events are presented in chronological order and are designed as a guide for those researching specific events or newsmakers. Historic photographs enhance several stories. November 26, 2013 (Alpine) – Two days ago, we reported on a historic quilt gone missing in Alpine. Today, Alpine Historical Society President Carlette Anderson sent us this good news. "This morning I went to the club house to let a couple of members into the basement. I went into the kitchen for a glass of water and couldn't believe my eyes. There, laying flat, on the kitchen table was the historic quilt and the throw, with no note. It is an Alpine Woman's Club Mystery with a very happy ending." August 15, 2013 (Alpine) – The Alpine Historical Society is holding a special presentation, “Witness to Gettysburg” on August 18, from 2:00 – 3:45 p.m. at the Alpine Woman’s Club, 2156 Alpine Blvd. Miss Hattie Elizabeth Turner, played by Annette Hubbell, tells how a town of 2,400 citizens coped with 30,000 casualties following the epic battle of Gettysburg. 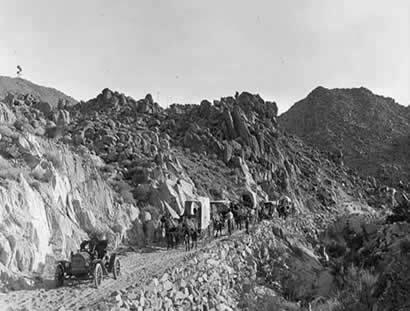 May 27, 2013 (Alpine) – The Alpine Historical Society will host the thirteenth annual Alpine History Day on June 1 from 11 a.m. to 2 p.m. at the Museum, 2116 Tavern Road, Alpine. Tour the two pioneer houses and Carriage House with new displays of Justin Gruelle’s paintings, the 107 year-old buggy, farming tools, equipment and more. The Ford Model T will also be on display. There will be opportunity to learn about beekeeping and sewing on a treadle machine. Third graders will read their winning essays on Alpine history and receive their awards. May 26, 2012 (Alpine) -- The Alpine Historical Society presents Alpine History Day Celebration on June 2 from 11:00 a.m. to 2:00 p.m. at 2116 Tavern Road, Alpine. The event will feature new displays in Dr. Nichols’ carriage house, tours of two pioneer houses, a Model T and an organ concert on the veranda. September 19, 2010 (Alpine)--The Alpine Historical Society will have an Italian Dinner on Sunday October 17th at 5pm. This dinner is open to the community and provides an opportunity to learn more about historic Alpine. September 17, 2010 (Alpine)-- Times have changed through the years in this mountain town--and more changes are coming. "The Alpine Historical Society is looking for someone who would like to take pictures of Alpine as we change," a press release states. "If the Sunrise Power Link comes through our town, there will be many changes along the Boulevard." If you enjoy taking pictures, consider being an official photographer for the Society, which also seeks long-time residents for an oral history program.